According to the website Brownielocks, a site full of bizarre & unusual holidays for every day, week & month of the year, June 1st is National Go Barefoot Day. 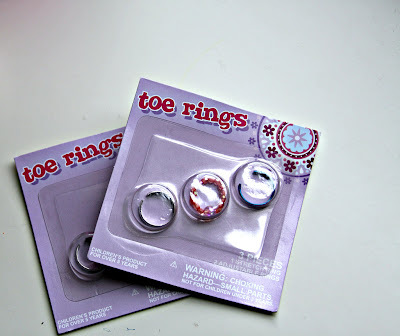 I have surprised the girls with a little gift of toe rings. (Target dollar section!) I suggested that daddy help paint their toenails all pretty too. I can't wait to see the girls tomorrow night!! !